Advantages of the Inman Aligner system? 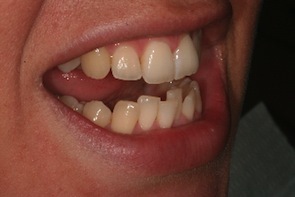 Disadvantages of the Inman Aligner? Inman Aligners are a type of orthodontic appliance that can straighten or move your teeth to the desired position. 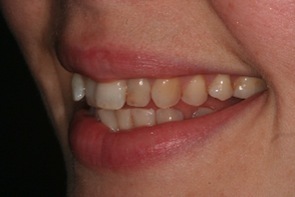 Many dentists use the Inman Aligner as an alternative to the Invisalign invisible braces system. 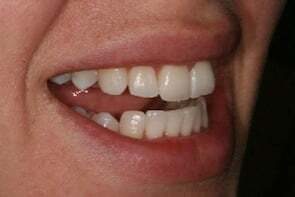 The Aligners are restricted to the level of movement that they can achieve and generally work better on misalignments of the upper and lower front teeth. 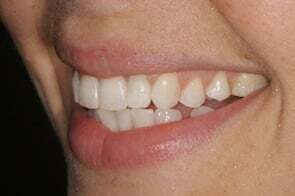 They are not suitable for cases where the teeth are heavily crowded for example. After a consultation, your dentist will be able to determine if you are suitable for teeth straightening treatment with the Inman Aligner. 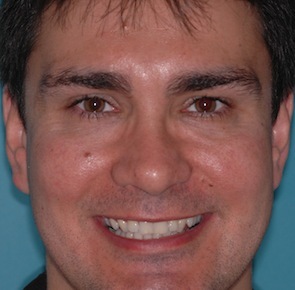 This case took just 3 months to complete with the Inman Aligner. Photos kindly donated by Dr Tif Qureshi. Similar to the Invisalign system, the Inman Aligner is a removable appliance used to move the teeth over time. 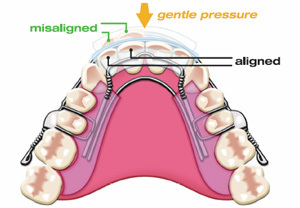 It relies on forces created by a coiled spring on the lingual side of the aligner (that on the inside or back of the teeth), and a bar that sits across the front of the teeth to “squeeze” the teeth into position by “pushing” and “pulling” them into position. 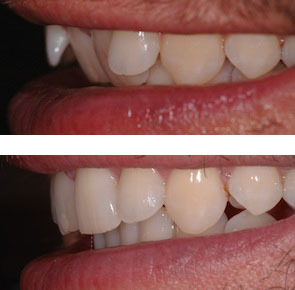 This case took just 8 weeks to complete with the Inman Aligner. Photos kindly donated by Dr Tif Qureshi. You can expect to pay between £1250 and £2500 for this treatment.